Born in Sapporo, Hokkaido, Japan, Noboru Yuasa graduated from the Faculty of Veterinary Medicine of Hokkaido University in 1966. He earned a PhD degree in 1983 from Hokkaido University. 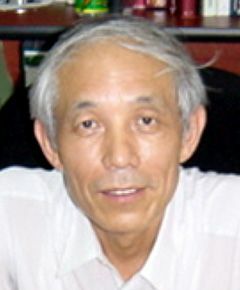 From 1966 to 2001 he was engaged in diagnostic, research, and educational work, mainly on poultry viral diseases in the Poultry Disease Laboratory (Seki, Gifu-ken) and Central Laboratory (Tsukuba, Ibaraki-ken) of the National Institute of Animal Health, Ministry of Agriculture, Forestry, and Fisheries. He participated as a technical expert in “The Project for the Improvement of Regional Veterinary Diagnostic Services in Mexico States” implemented by the Japan International Corporation Agency from 2001 to 2003. From 2004 he worked as a technical adviser to Kyoritsu Seiyaku Corporation, a maker of veterinary pharmaceuticals. He retired in 2011. He has served as chairman of the editorial board of the Journal and Vice-President of the Japanese Society on Poultry Diseases (JSPD). JSPD propagates knowledge of poultry diseases and has around 2,500 members. 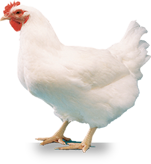 In 1974, some young layer chicken flocks in Japan vaccinated with Marek’s disease (MD) vaccine (HVT) were observed to have a disease with symptoms of leg paralysis and retarded growth. The disease pathologically resembled MD. Dr Yuasa isolated reticuloendotheliosis (RE) virus from both the diseased chickens and the vaccines used. He also succeeded in reproducing the disease with isolated RE virus. From these results, he identified these cases as a vaccine accident caused by HVT being contaminated by RE virus. Similar cases were also observed in some other countries. During his investigation of the MD vaccine accident, he discovered an unusual viral agent (chicken anemia agent (CAA)) that produced aplastic anemia in chicks. He established a unique in vitro assay system for CAA using MDCC-MSB1 cells. CAA has since been fully characterized by others who followed up Dr Yuasa’s pioneering work, and has been renamed chicken anemia virus (CAV). CAV is now classified as a novel, small, single-stranded DNA virus belonging to the Family Circoviridae, Genus Gyrovirus. He lives with his wife, Sakae, and two dogs, and lately enjoys playing tennis a couple of times a week.